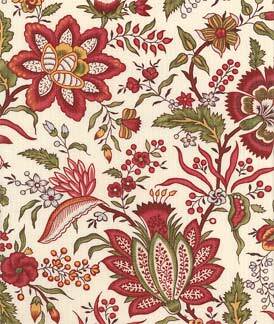 One question I receive a lot is, "where do I find appropriate 18th century floral prints?" 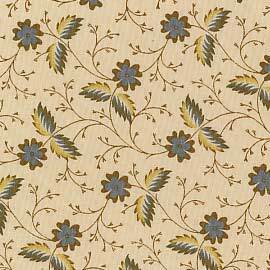 I realize that it's taken *years* to source these out, so to save you time (and maybe some money, too), here's my personal, non-exhaustive, go-to list of vendors selling floral 18th century prints in cotton. I've sorted them by price, though some of these are sold in lengths other than yards (such as the Dutch chintz and the curtain panels), so prices may be a bit deceiving (in either a good or bad way). IKEA - Stenort Duvet cover - $49.99 full/queen, one-sided. Enough to make a gown. **IKEA retires and introduces difference duvet textiles regularly, so if the two above are no longer available it is still worth a look at the Ikea website to see if any new 18th century style textiles are available. When it comes to historical accuracy, the Colonial Williamsburg reproduction fabrics are *the best. * They're excellent quality, very reasonably priced, and are made from original textiles, many in the Williamsburg collection. See all of the Colonial Williamsburg fabrics here. 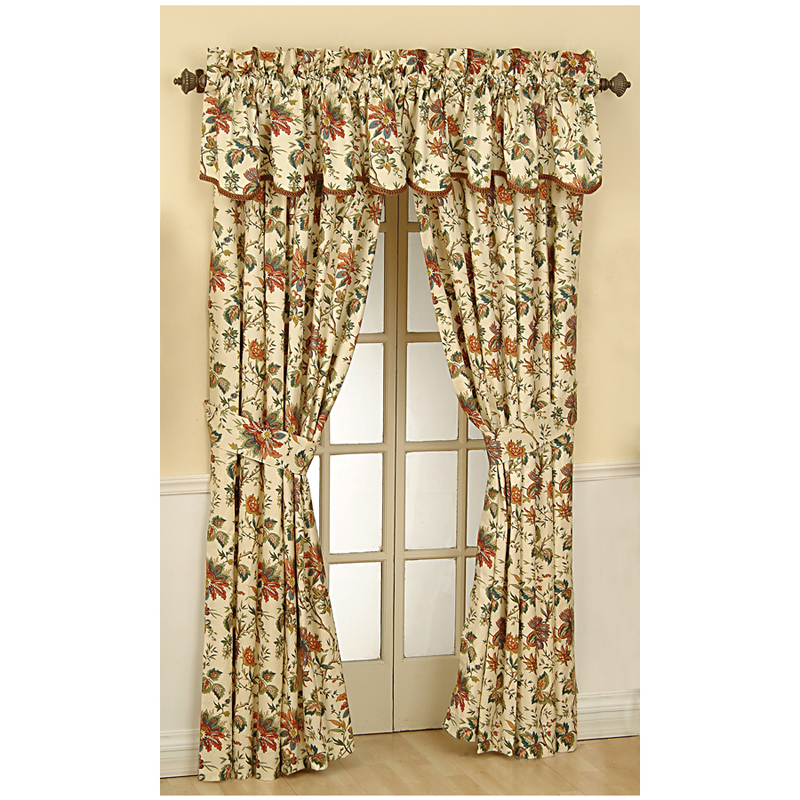 The famous Waverly "Felicite" curtains are available in ivory, red, black, and in yardage from Joann's also in blue, and ivory/green. *Note: The Joann's yardage may be heavier than the packaged curtains from Lowe's. Be sure to avoid heavy upholstery weight or even medium weight cottons - you want lightweight. Colonial Williamsburg Marketplace - Colonial Fabrics directly from original examples. Betina Printing - manufacturers of the fabrics carried by Den Haan & Wagenmakers. Also sell to the general public, for about the same price in euros. Joann's - the occasional period cotton in the quilting or home dec sections. p.s. I am unaffiliated with all of these shops. I don't get any kickbacks for any of these links. It will probably be 2015 before a new reproduction fabric is brought in (we ave 12), but since It starts about 8-10 months out (the long process of choosing the inspiration, having the artwork done, colors approved, sample approved, to receiving the fabric) so my file is opening now. If there are any requests, please let me know, would love to hear the wishes of the community. Siusaidh, for the Williamsburg fabrics? You rock. Thank you for sharing this! When I get around to making my 18th Century dress, I shall consult this! Exactly why I like posting links! It's a good way to "not lose" things!! Thanks for sharing this info with us. And the weight factor, I didn't even think about that. This is a fantastic resource - thank you! And I did the math for the Den Haan & Wagenmarkers fabric - $6.48 per 25cm comes to $23.70 per yard. Oh, thanks for working it out! I'm going to add that as a note to the post, so people know. Thank you! Awesome! I've never found that shop before. Thanks for the link! I never knew! Thanks for the tip! 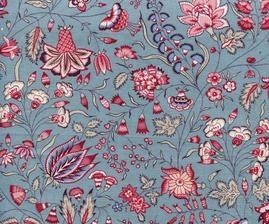 I have resently discovered www.dutchfabric.nl, haven't bought anything there yet, but the prices seems to be ok, and the prints are gorgeous! Wow, what a useful resource! I've added a link to this post to my website. Thanks! aaah thanks so much! I've always wondered where people got these without selling a limb, and I've never found the Williamsburgh ones online! Thanks! Wow, what an excellent reference. Thank you! Fabulous resources! You are my new BFF!! I've heard (somewhere, can't remember where, so YMMV) that some of the W-burg prints are taken from decorative fabrics rather than from garments. Whether or not that's true, it's still good to research what prints were used for which purposes, since just because something is a historically accurate motif doesn't guarantee it would have been used for clothing. Hi Katie - Yes, I read that too (I think it was on the Hive blog, or on the Larkin & Smith English Gown pattern. ), and the advice was to look for the "documented" prints. While all of the Williamsburg fabrics are reproductions, unfortunately, it doesn't say on the webpage which ones are from clothing and which from furniture. Just looking at them, with an educated eye, I would say ALL of them are appropriate for clothing (depending on the scale), and some of the designs that look more "upholstery" in style are indeed from original garments I've seen with my own eyes, which is kindof nutty. As with any of these vendors, it's important to "train your eye" by looking at lots of original garments. 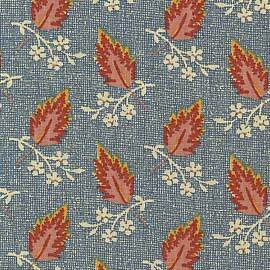 It helps us find acceptable modern prints (like that Downton Abbey swatch I listed), as well as distinguish between a clothing and furnishing reproduction print. 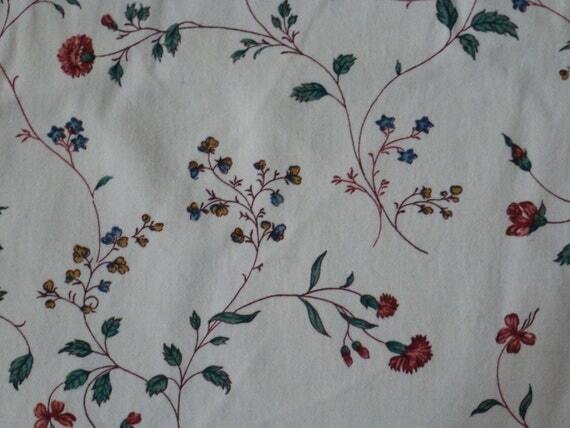 The fabric for my Abigail Adams gown is a hand block-printed cotton straight from India which I got on eBay for $5/yd. No kidding!! They use the same techniques that have been in practice for 200 years. The fabric is lightweight but crisp, never wrinkles, bright and colorful, and has some of those minor printing imperfections that make the fabric unique and feel more authentic. Stock changes frequently, and more often than not, when the yardage is gone it's gone, but it's worth a search! 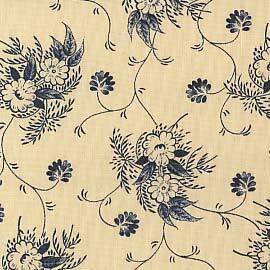 I usually put "Hand block print fabric India" in the search bar and am always delighted with what comes up. Some are better for 18th century and some are better for 19th, but figuring out which is which comes with training one's eye, as Lauren said.